One of the things I love about crochet is the freedom I have to design something original. You would think that all I need is a stitch pattern and away I go. However, there is a little more to it than that. While the right stitch pattern is important, yarn choice and color also have a huge impact on what I make. Today, I want to talk about color. One of the things I’ve noticed over the past couple years is that a group of colors put together will start my design gears grinding. It all started when I ordered a couple of yarn grab bags from WEBS. One of the large grab bags that I ordered was a mix of colors from Tahki Yarns – their Cotton Classic and Cotton Classic Lite. When I opened the box, I had a literal rainbow of colors to work with – and yes, I mean the whole ROY G BIV rainbow that we all draw as kids, minus the indigo. So when you’ve got enough yarn for two rainbows, and twin nieces are on the way, it just seemed logical to make rainbow blankets. 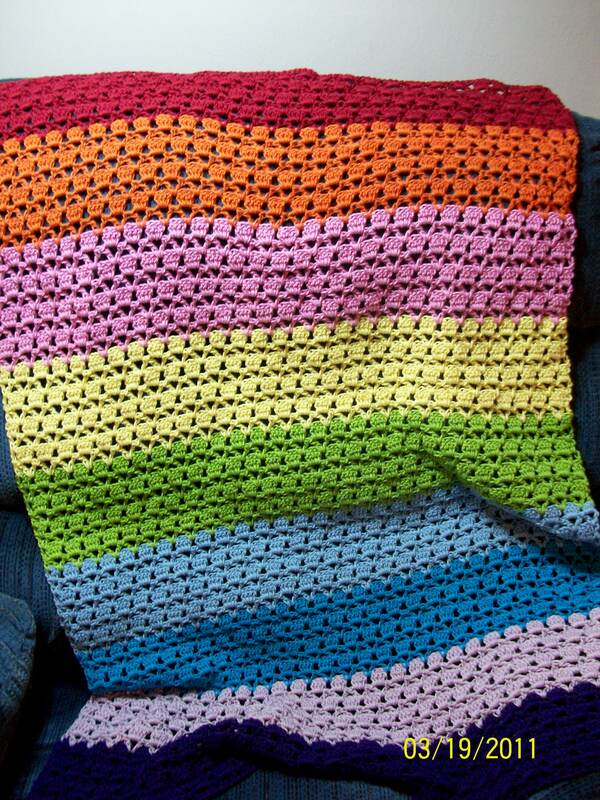 Once I knew the color order I wanted to use, it was just a matter of picking stitch patterns and away I crocheted! More recently, my local yarn store (or LYS) has really sparked design interest. Something about the way certain colors are grouped together in a yarn cubbie or how certain colors are lined up next to one another hanging on the wall starts a design idea that marinates until its ready to be used. I had been looking at three colors of Berroco Vintage Chunky for several weeks, wondering what I could use them for, when my LYS announced that they were going to hold a SAL (stitch-along) using the Baby Surprise jacket pattern. Bingo! I not only knew what colors I wanted to use, but how I was going to intentionally stripe them to get similar but not quite matching jackets for my twin nieces. Colors of yarn hanging next to each other on the wall have also caught my eye. There is one more place that I go to for color inspiration – a very cool little website called http://design-seeds.com/. 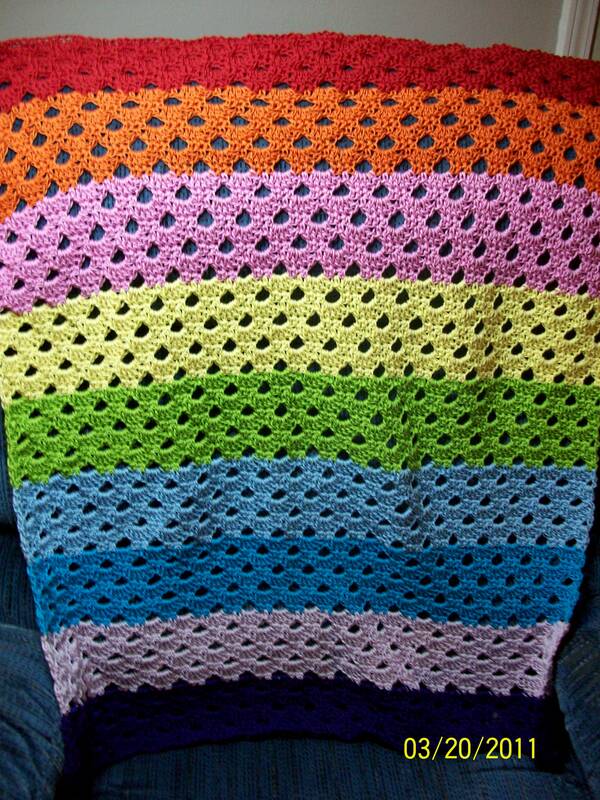 My friend Marly Bird first pointed me their way, and I love all the color combinations. I find it to be a great resource, and I want to share it with you. Okay – that’s about it for color for now. I’d love to hear about your adventures with color in relation to design. Please comment below! 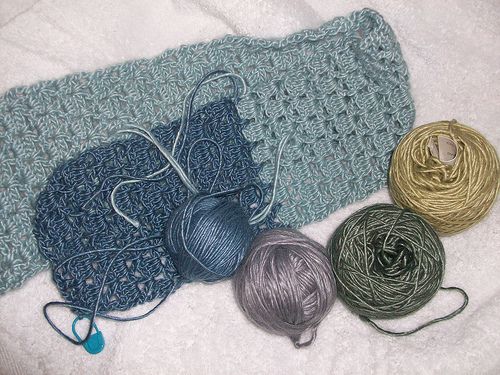 Next post is going to dip into how yarn choice affects stitch pattern. Until then, keep stitching! Very intetesting and thought provoking. Are you drawn to any colours or are there particular ones you are drawn to? I’m very partial to blues and greens; not only are they calming colors for me, but they are also flattering. Are there any particular colors that you are drawn towards? Greens/turquoises. I am a red head so knew that these colours have always been safe for me to wear! I have definitely had the same experience of being drawn to color combos that I see on the shelves or hanging together on a wall. But I’m not afraid to share my color choices/ideas with others before I buy to see what kind of reaction I get. Sometimes I’m swayed, sometimes I’m not. And I have a number of color combos on my Pinterest board after visiting Design-Seeds – they do a great job of stimulating the imagination. I just discovered Design Seeds via Pinterest the other day and I’m totally in love!